In structure and content, Kim belongs to more than one genre of novel. As a novel dealing with a journey or quest, it can be described as ‘picaresque’. The term derives from the Spanish, ‘picaro’, a rogue, and the master-work of the form is Don Quixote (1605 and 1615) by Miguel de Cervantes (1547–1616). 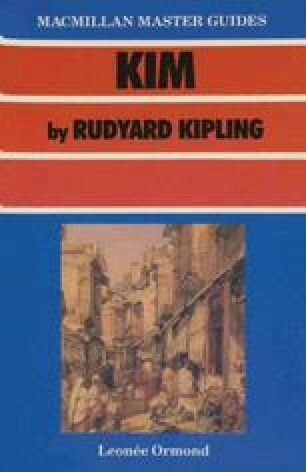 Kipling himself acknowledged the debt to Cervantes in Something of Myself: ‘As to its [Kim’s] form there was but one possible to the author, who said that what was good enough for Cervantes was good enough for him’. Don Quixote’s quest for knightly accomplishment is undertaken, like the lama’s search for his river, with a total concentration of body and mind. The lama is not, like Don Quixote, an object of satire, but both are vulnerable men, guided through a dangerous world by a knowing younger companion.